Good morning! 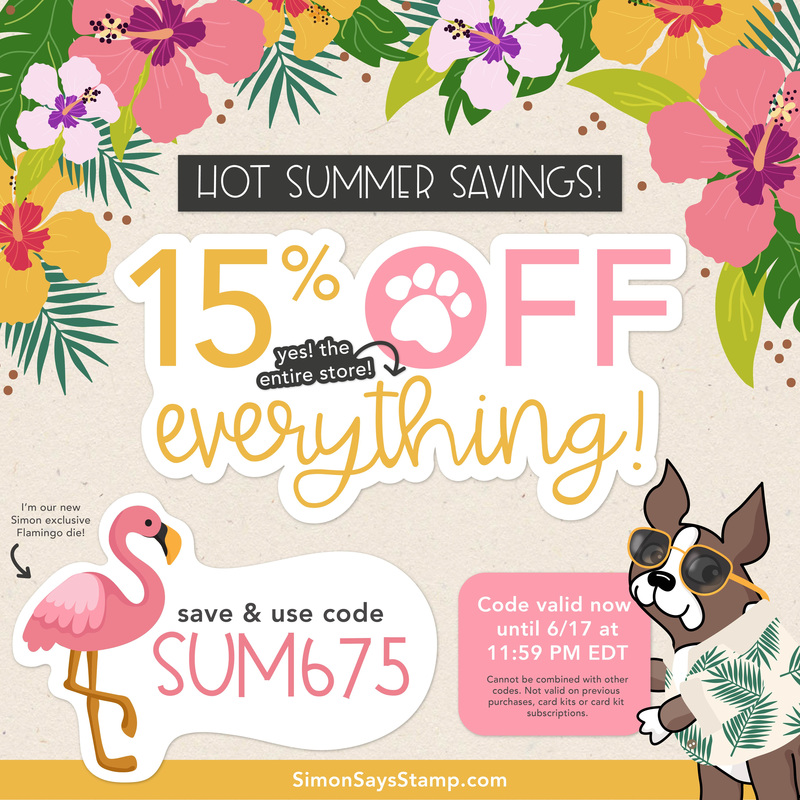 I’m super excited to be a stop on the hop for the Simon Says Stamp Blossoms and Butterflies blog hop!! 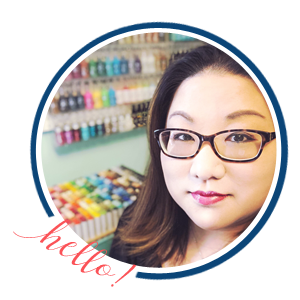 I’ve already shared two cards and a giveaway using the new release (find more details here) and today I’m sharing three more cards! 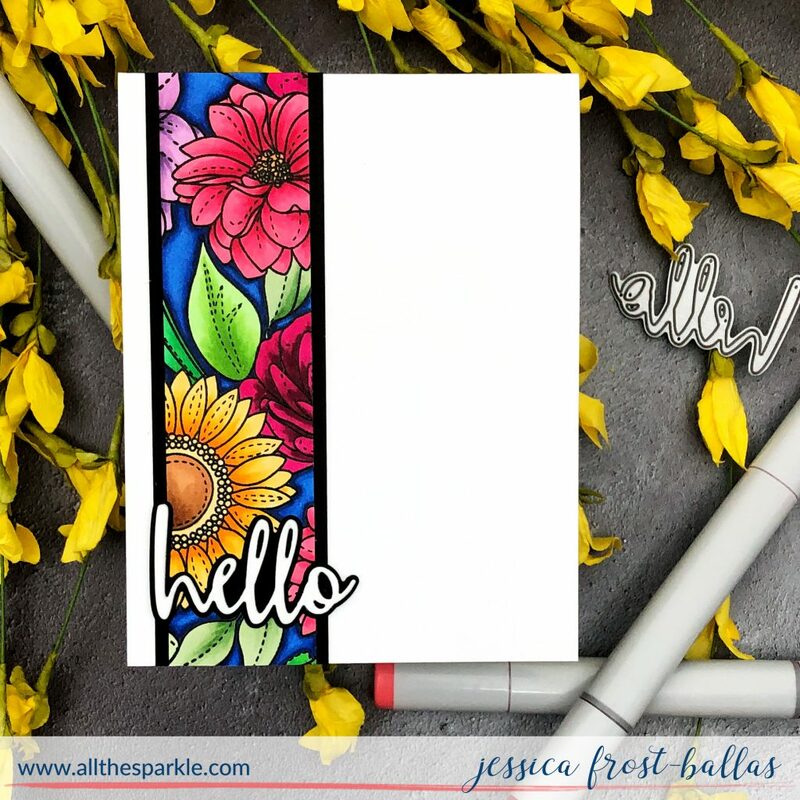 My first two cards feature the stunning Floral Mix background stamp! If some of these flowers look familiar it’s because they were featured in the older Spring and Summer flower sets! I just love how it’s been arranged to create this gorgeous layout! I stamped it onto white cardstock with versafine and heat-embossed it with clear embossing powder. Next I colored it with copic markers. It took a few hours to get it finished but I love how it turned out! I trimmed the panel down to 4″ by 5.25″ and added a black cardstock mat before adhering it to a white card base. Next I die-cut the sentiment outline with vellum and the sentiment with black cardstock. I wanted to keep the card simple and allow the panel to shine so I just adhered the sentiment over the panel and left it at that! Meanwhile I took the panel leftovers and matted it with black cardstock. I adhered that to a card base for a CAS card. Then I used the same word die but this time I used black and white cardstock. I adhered them together and added them over the floral stripe. Next I kept up my colorful vibe and thought a little out of the box with the new Wake Up and Make Up set! I decided that some of the tubes looked a little like paint tubes and decided to go in that direction! I stamped them with versafine and heat-embossed them with clear embossing powder. Then I watercolored them with Mission Gold watercolors and set them aside to dry. Once it was dry I added a little copic coloring to the tubes to add shading and then covered the labels with a layer of spectrum noir clear sparkle! Then I stamped the sentiments onto black cardstock with versamark and heat-embossed them with white embossing powder. I die-cut them to a thin label with the Sentiment Label dies and adhered them to the card with foam mounting tape to finish the card! Check out the Blossoms and Butterflies gallery on the Simon Says Stamp blog for even more crafty inspiration! And we have a special gift for all of our blog hoppers this weekend!! 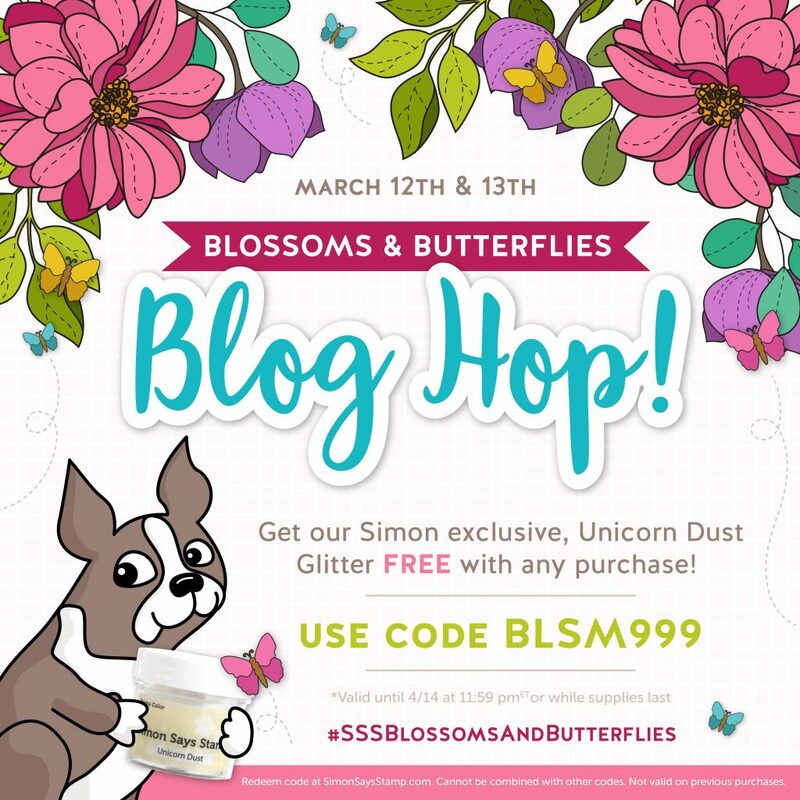 Use the code BLSM999 on any purchase at Simon Says Stamp this weekend for your Unicorn Glitter Dust!! Thanks so much for stopping by, have a fabulous day, and enjoy the hop! 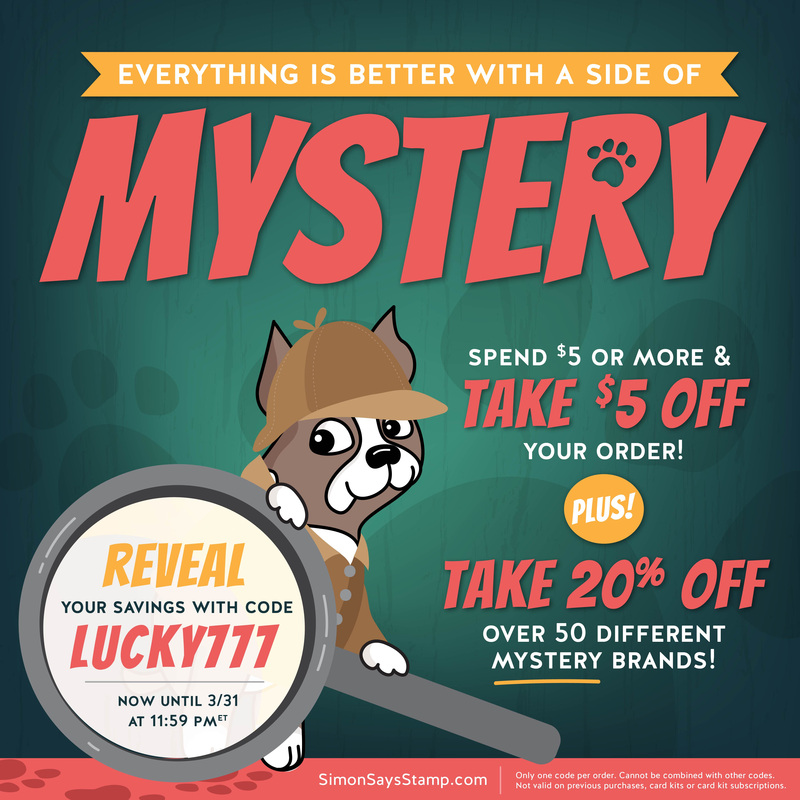 Simon Says Stamp Mystery Sale!! What a wonderful canvas those background stamps make for so many techniques. Yikes, that color is over the top awesome! Love the hop and all the new goodies! WOW! Gorgeous coloring! I love the vivid colors!!! Gorgeous cards. Love the vibrant colours and the amazing colouring. Love the new release. It is fabulous. you were able to use all of the coloring. Hate to waste anything this wonderful. Gorgeous cards! Love the bold colors! 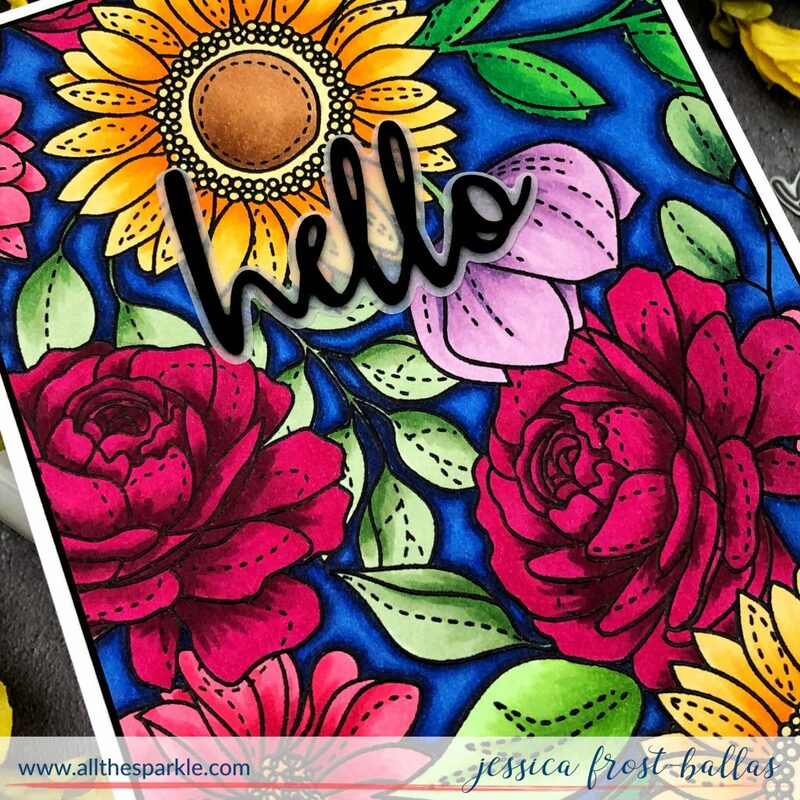 Jessica, the colors on the flower cards are so vibrant and beautiful. I love the make up card. How cool is that set! Wow! I really dig the BOLD colors! Great job! Beautiful, bold cards today! Lovely. WOW!! 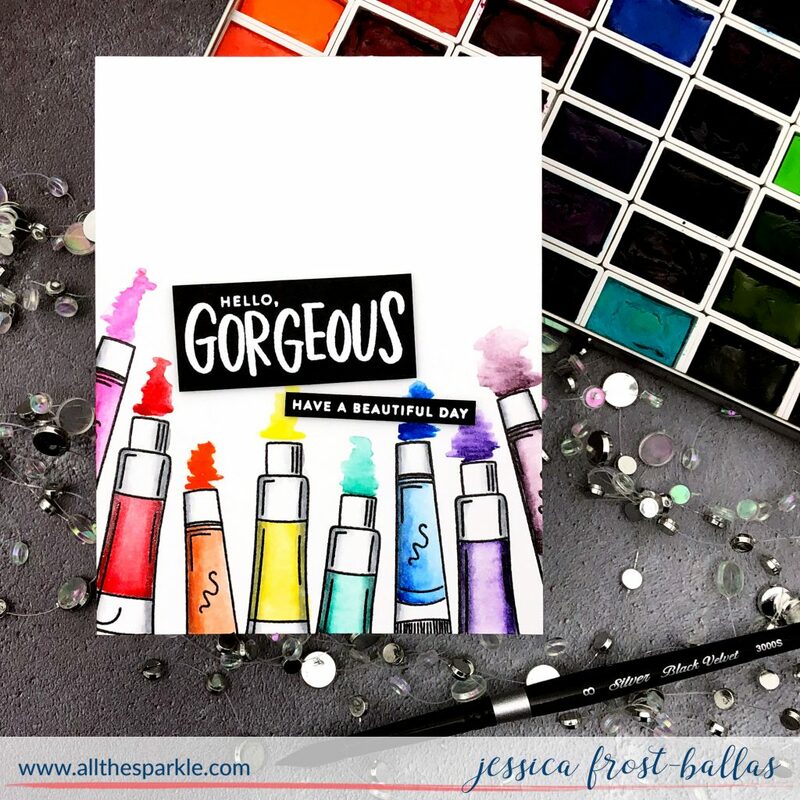 I’m loving the bright/bold colors of all three of your gorgeous cards! Amazing coloring!!! So bright! Love it! 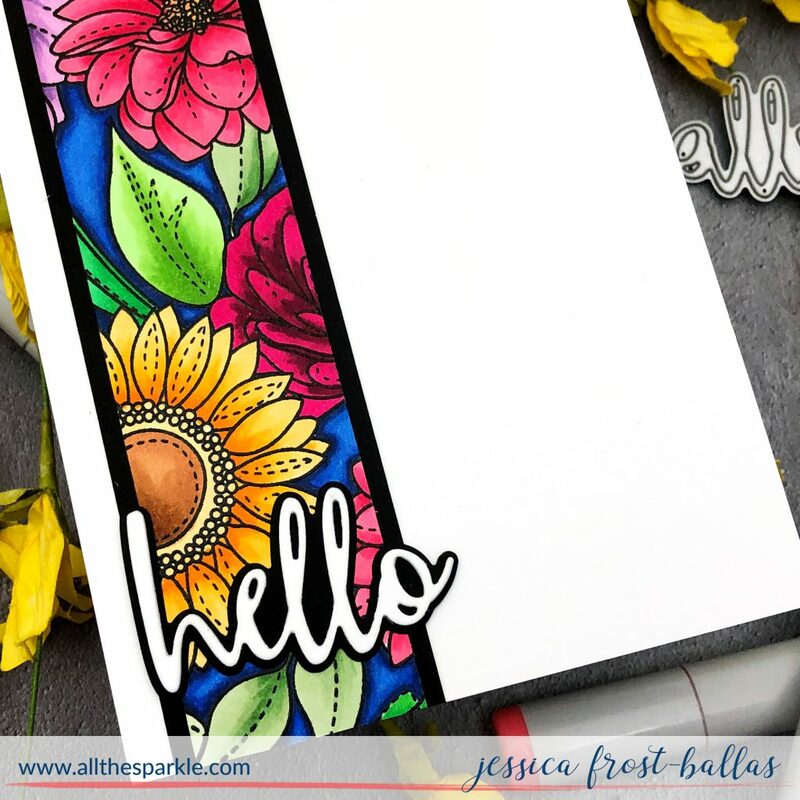 Your first card with the Floral Mix stamp set is amazing! 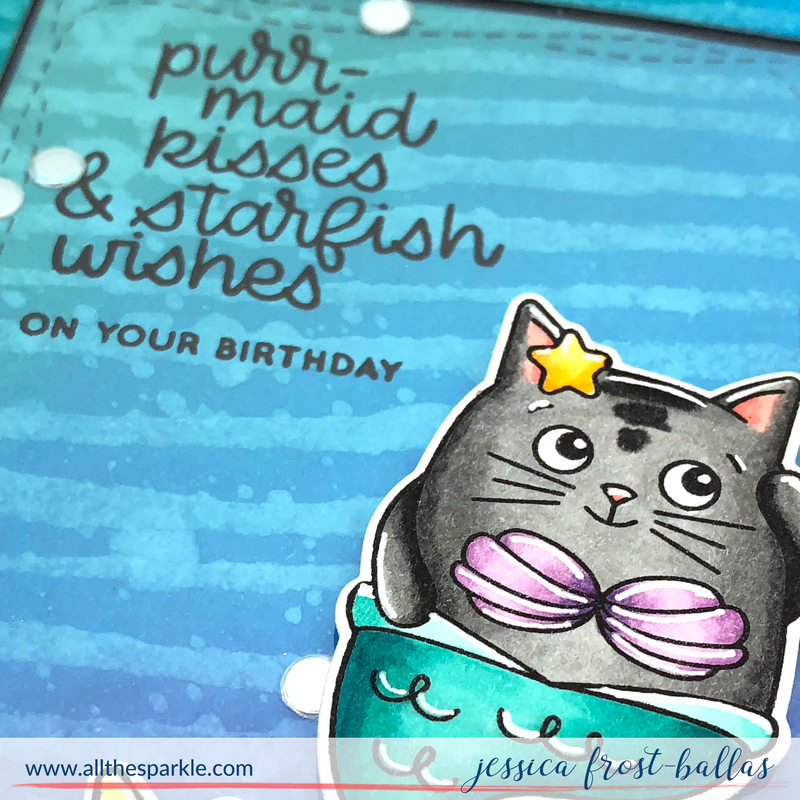 The colors are so vibrant and the stamp creates such a great focal image. 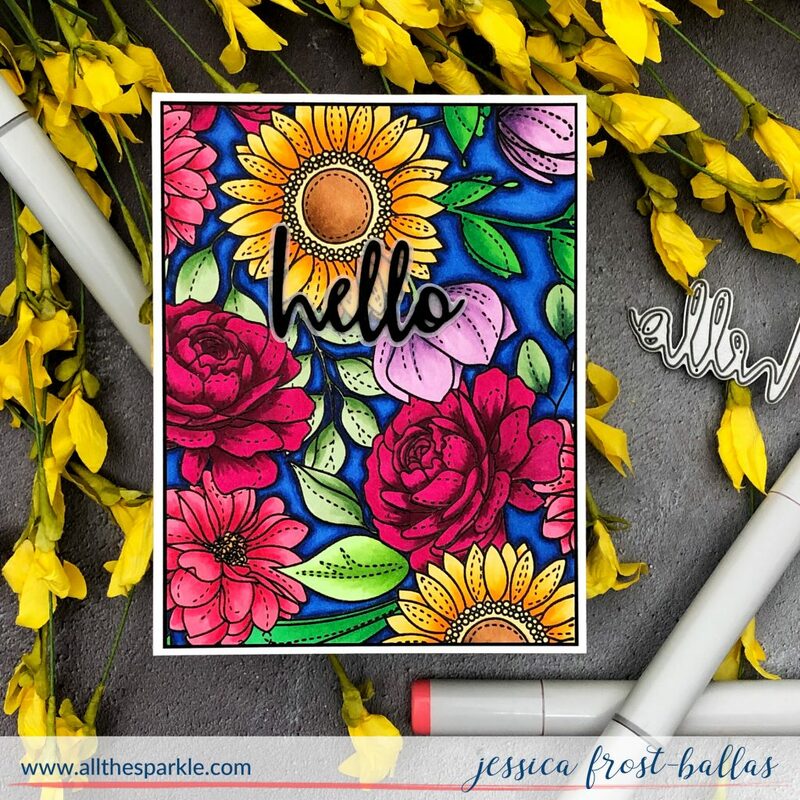 Love what you did with that Floral Mix background! Okay, I’ll admit I ordered that stamp the minute I saw it. Love both of these cards! Your colors are so vivid and pretty! Beautiful cards & amazing versatility! 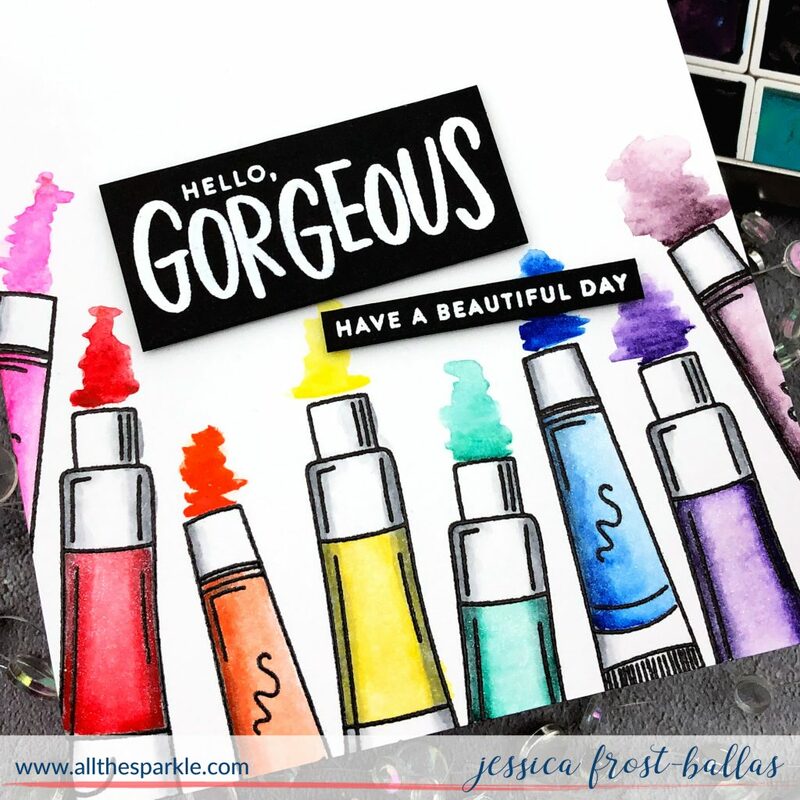 Love the beautiful bold colors you used. Awesome cards! These cards are beautiful. I love your coloring.